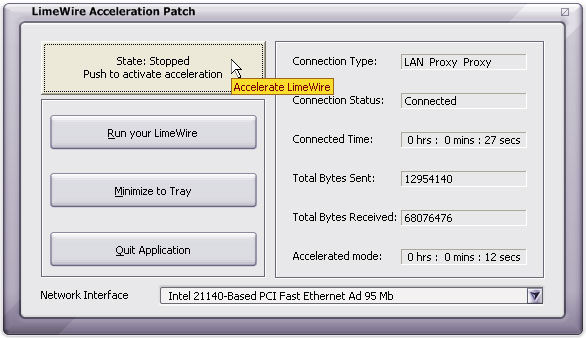 LimeWire Acceleration Patch 6.4.0 - Download Win Apps. LimeWire Acceleration Patch is a high-end module for LimeWire. LWAP is a high-end module for LimeWire file sharing application, developed to resolve problems like: slow downloads and disconnections, traffic congestion, improving download speed and reliability, doing so by several methods to achieve 200% to 400% faster downloads, according to our tests, user and website reviews.